Here at World of Cruising we don’t need much excuse to get into the Christmas spirit. 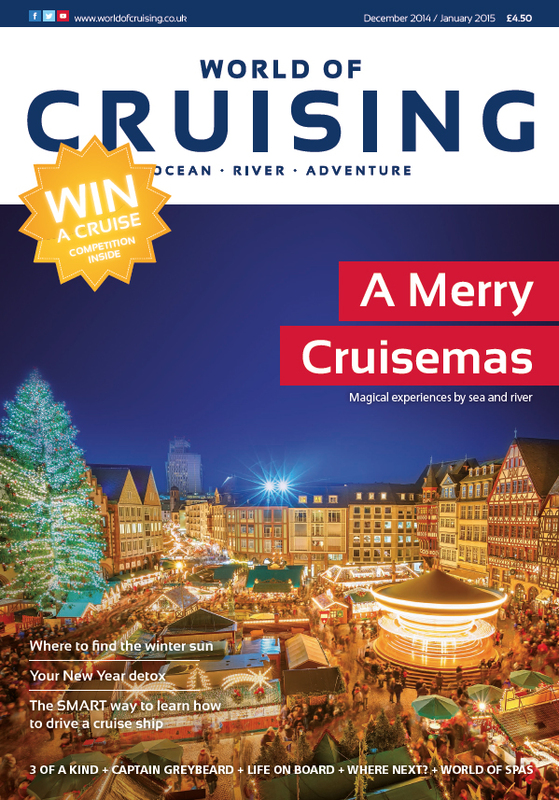 So there’s a festive theme running through much of this issue, with accounts of my own family cruise to Burma, India and Malaysia in December last year, and a report on what it’s like to spend Christmas on a European river cruise. Both experiences can be thoroughly recommended as an alternative – in two very different ways – to spending what our American cousins refer to as “the holiday season” at home. It’s also the time to look ahead to the New Year and cruising will have lots to offer in 2015. The biggest cruise ship ever built for the UK market, P&O’s Britannia, will be launched in March with the splash of a Jeroboam of English sparkling wine, and May will see the arrival of Viking’s much-anticipated first ocean-going vessel. Not to mention another armada of Viking river ships. Also on the way are Royal Caribbean’s Anthem of the Seas, bringing robot bartenders, dodgem cars and sky-diving to ex-UK cruises, and Norwegian Escape, Norwegian Cruise Line’s largest vessel to date, which will pay us a brief visit before settling into its Miami home. We plan to be first to bring you news of all these ships and everything else that is new in the World of Cruising throughout the year and we will have much more for you besides. Our circulation, certified for the last issue by the Audit Bureau of Circulation at 19,157 and will grow substantially next year. For now, may I wish you all a very Happy Cruisemas and a send my wishes for happy travels in the New Year.